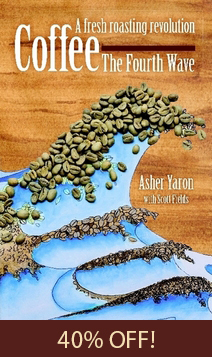 Asher Yaron’s personal coffee journey explores legends, myths, and surprising discoveries about coffee’s qualities, as well as how it has been used since its first discovery over 1,000 years ago. 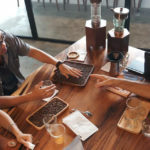 This talk has awakened and inspired many to begin their own coffee journeys, and it has become one of the most viewed and discussed TEDx talks about coffee. Who drank coffee this morning? Yes! You, and hundreds of millions of others like you around the world. Which makes coffee arguably the most important discovery in the history of humankind. Today, coffee is the second largest traded commodity in the world, second only to crude oil. It’s the second most popular drink in the world. Water is number one — and it’s been credited with ushering in the Age of Enlightenment. Yet, 95% of the roasted coffee in the world is 100% old, stale and dead. Coffee once roasted is a fresh, living food, and loses its vitality, and dies in about a week. And it doesn’t matter if it’s vacuum sealed, nitrogen flushed, or any other fancy packaging process, nothing can prevent its death. And storing it in the refrigerator or freezer, does more harm than good. So, there are varying legends of how coffee was first discovered. What we do know, is that coffee’s early usage held a mystical and spiritual importance among many cultures. Initially, coffee was prepared and consumed as part of religious ceremonies. Monks used it to stay awake at night during long periods of prayer and to attain higher states of consciousness. They were drinking coffee prepared like this. So we’ve evolved. From a handful of spiritual seekers consuming this beverage to today, where hundreds of millions of people, like yourselves, all around the world, drink coffee every morning. In our desire to make this special drink available to the masses, we’ve sacrificed quality for quantity. It’s my mission to recapture the mystical powerful effects of fresh roasted coffee, and make them available to the masses. 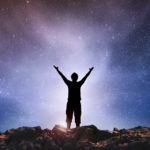 Are you ready for the Age of Enlightenment 2.0? All right. This is the branch of an Arabica coffee tree grown here in Bali. The cherries on this tree have seeds inside. Coffee beans — they’re not beans, they are seeds. They are seeds of the coffee cherries. Over 90% of these seeds — these cherries have two seeds — they are the females, and only 5% to 10% have one seed — the male. Once roasted, they taste different. One is more bitter than the other but that’s a whole another talk, we’re not going to get into that. These cherries are, actually, a sweet, edible fruit. Here, try it. Now, once these seeds are separated from the fruit, they’re dried. Looks like this. Once they’re properly dried, they can be stored for months, even years. But, once roasted, they have a very short life span, and need to be consumed within a week to obtain the maximum amount of potency and freshness from them. Roasted coffee is a fresh food, and should be treated that way. Now, during the roasting process there are over 1500 chemical reactions that take place. Just think about that for a minute. We don’t have a minute… Let’s think about that for 10 seconds. 1500 different chemical reactions. The seeds are completely transformed from their dried, green, inert state, to their alive, fresh roasted state, where they can be assimilated by our bodies. The seeds have become in this process a pharmacological resource that can benefit our human brains and bodies in ways we have not even begun to discover. Now, let’s take a look at some coffee roasters. This is a one-kilo roaster. For those of you who are metrically challenged, that’s 2.2 pounds. Cost: $6,000. Three-kilo roaster, 6.6 pounds, for the metrically challenged — $13,000. And a five-kilo roaster — $18,000. Folks, technology for roasting coffee — it’s pretty simple. You just need heat. Tin roasting pan… $0.75? Indigenous coffee cultures around the world they roast their coffee like this. Their focus is on freshness, and immediate consumption. Commercial coffee cultures roast their coffee like this. Their focus is on marketing, packaging, and shelf-life. One produces coffee that is alive, vital, potent. The other produces coffee that sits on the shelf for weeks and months, and is old, stale and dead. Now, roasting coffee is a lot like making popcorn. You heat up the seeds, and after a while, they smoke and pop, or crack. There are actually two cracks. When the louder second crack is just beginning, turn off the heat, you start the cooling process. Not a lot of mystery here. Takes a little practice to know when to turn off the heat. But, if you can make popcorn without burning it, then you can roast coffee. After the coffee is roasted and cooled, it goes through a period that it needs to settle. So, it takes a while for the beans to settle, even though they’ve been cooled. But this time period is several hours. Not days, not weeks… like some of the mass coffee producers claim. My own tests have determined a peak potency time for espresso of 11 hours after roasting 1. And a maximum freshness cut-off date of 7 days after roasting.At the time of this talk I had only tested as close to roasting of 11 hours. I only had a commercial roaster available as this was before I created my Sample (home) Roaster. After I was able to roast in smaller batches I continued my testing and discovered that the closer the coffee was to when it was roasted, the better it was! My testing protocols involved a 2 group espresso machine, 2 grinders, pulling 25 second shots simultaneously and testing with 3 people, myself and 2 sommeliers (experienced wine tasters with highly developed palates). These were blind taste tests and what we were focusing on was “buzz” effect, energy, not specific flavors. 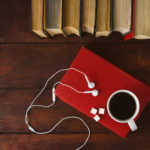 Let’s take a look at some recent studies that have come out about the benefits of coffee — which there are many. These studies… what are they studying? They’re studying old, dead, stale coffee! Or people who drink old, stale, dead coffee. I have not seen a single study that has used coffee within a few days of roasting, let alone its peak time of within 24 hours. I can tell you from my own experience, and how it feels in my body — and tests are done for myself, there are so many more health benefits that have not even been discovered yet. Not even touched. Yet, these reports are showing that coffee has a lot of health benefits. It’s the number one source of antioxidants in the US diet. A study just came out in the last week, that showed that people who drank coffee tended to live longer. There is a lot more to discover about coffee, even though it’s been around for so long. I have been on a 10-year quest for the perfect cup of coffee. Didn’t even know what that tasted like, because I’d never had it before. I just knew, somehow, it was out there. I tried everything. 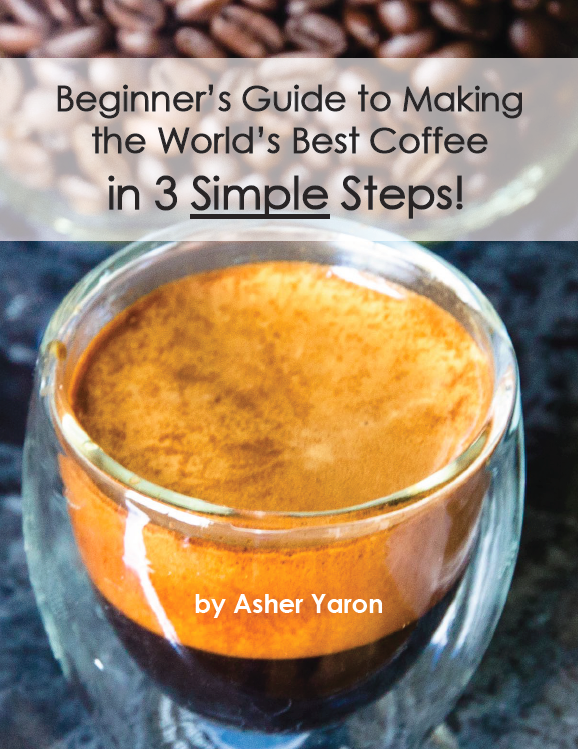 In the beginning, I focused my efforts on upgrading my coffee making equipment, thinking that was the answer. After several years, not much progress, and acquiring an Italian espresso machine and a burr grinder, didn’t know what else to try. It didn’t even occur to me that the roasted coffee I was using made the difference. Because everything I tried, in its vacuum sealed, space-age packaging, all tasted the same. It was consistent. Now I know, it was consistently old, stale and dead — but at the time I didn’t know it. As soon as I took that first sip, I knew immediately – this was what I’d been searching for. All of a sudden, a lighting bolt came out of the sky, I was surrounded by white light, angels, courts of angels! Not really. But, my life changed in that moment. And like all home roasters, I started to look around my house, ways to roast coffee. Home roasters, we are an innovative, wacky bunch. We turn ordinary household appliances into coffee roasters — hairdryers, heat guns, hot air popcorn poppers, some smoke out their roommates using a pan on the stove. I looked around my house, I rediscovered my outdoor barbecue grill. I acquired a one-pound drum and a chicken rotisserie skewer, and a motor that turn that drum three revolutions a minute. My first batches were very uneven; some seeds roasted very dark, some very light, but still, because it was fresh it was the best coffee I had ever had. So I was really encouraged. I upgraded, got a bigger drum, got a bigger motor, and I was in business. Until today, I have created an affordable, portable, energy-efficient roaster, that produces an excellent result. And throughout my discovery process I’ve just had one question: how can I create the best of both worlds? How can I have the best, freshest coffee, and supply to the masses? My answer is in creating a coffee roaster that every cafe in the world can afford and have access to. This is precisely what I’ve done. This is the My Roast. 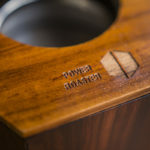 It is a two-kilo roaster, also comes in a five-kilo model, made entirely of stainless steel, and uses 1/10 the electricity of other similar size roasters. The seeds go into this drum, this motor turns the drum 70 revolutions a minute. I’ve created this roaster for a fraction of a cost of some of the commercial roasters you’ve seen — about a tenth of the cost. Remember, if you can make popcorn without burning it, then you can roast coffee. And the technology for roasting coffee is pretty simple: you just need heat. I’m creating a Coffee University, here in Bali. It’s going to teach everything about coffee — from the cherry to the cup, growing, harvesting, processing, roasting, and barista training. Nature has given us the gift of super-foods, that not only sustain our life, but enhance and energize the life force within us, so that we can operate efficiently, effectively, and powerfully. Fresh roasted organic Arabica coffee enhances my ability to focus my thoughts and attention to create and manifest my dreams. I believe it is a powerful super-food when consumed fresh, that can help humankind do the same. But, please, don’t take my word for it, don’t listen to what any experts are saying. You must try it out for yourself, come to your own conclusions. Now is the time to wake up, and smell the fresh roasted coffee!